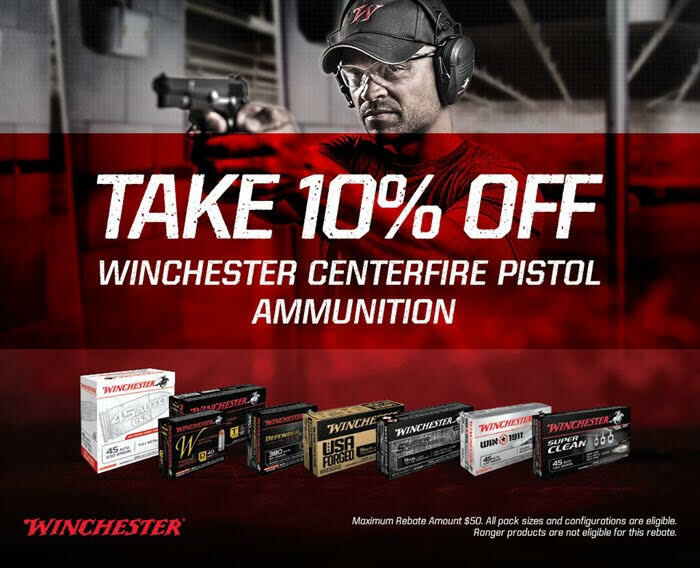 For a limited time, earn 10% off rebate on all eligible Centerfire Pistol Ammunition. Maximum rebate amount is $50 per household. Eligible calibers are 9mm, 38 Special, 380 Auto, 357 Mag, 40 S&W, 45 Auto. Submissions must be made by 6/1/2019. LAX AMMO OC is NOT responsible or will not be held liable for the rebate and only advertises the promotion for Winchester.